Here is a great space saving idea that I tried in our condo. We have a very small bathroom, there is a cabinet under the sink and a cabinet that contains the washer and dryer - thats it, there is no storage. 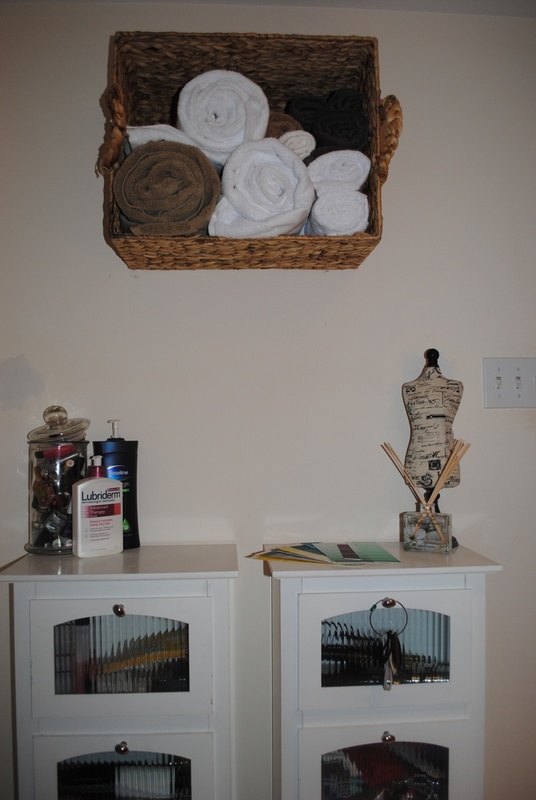 I brought these two white cabinets which I hope to paint and antique sometime soon but to add a little more storage space I bought this basket at TJ Maxx for $14 and just nailed it to the wall. Works great!